Petrochemicals giant Sasol’s industrial sludge bioremediation project will move into full commercial scale over the next two years to treat its 200 000 t/y of industrial sludge. 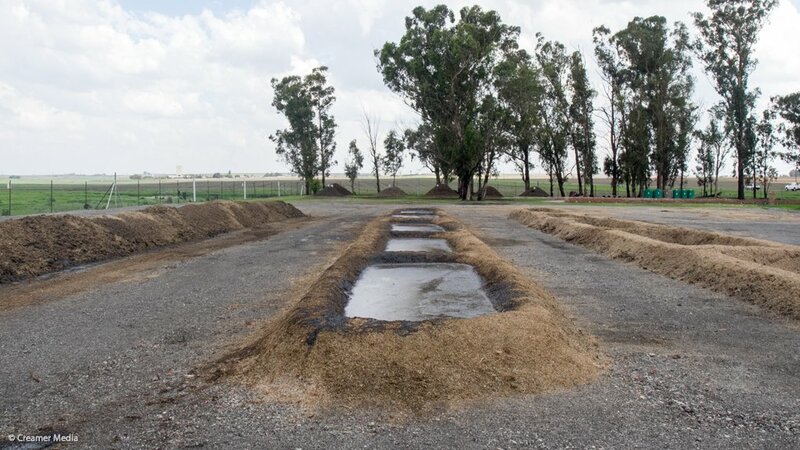 The project made use of aerobic composting to convert sludges from Sasol’s Bioworks water treatment plants in Secunda into fertilisers, which would be used for growing sugar graze. The company used the sugar graze as a food-source for composite bacterial populations that then also converted the sludges into inert fertilisers. 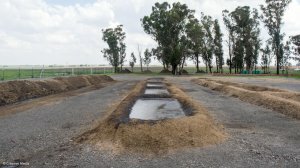 Sasol produced five different waste sludge streams and each one required particular bacterial populations to be converted into fertilisers. The sludges typically comprised 90% water and 10% microbes used in its aerobic biological water treatment plants. The sludges contained some oily compounds and some trace heavy metal elements. The sludges were currently incinerated or sent to a hazardous waste site, in compliance with the Air Quality Act and the National Waste Act. During a site visit on Wednesday, Sasol Technology environmental technology manager Dr Sarushen Pillay explained that the Secunda plant, as a zero-effluent plant, had developed the bioremediation process as a means to reduce its energy consumption for incineration and the costs of waste disposal, as well as to meet new Air Quality Act standards coming into effect next year. Sasol previously had to apply for an exemption to the Air Quality Act standards, but would be able to meet more stringent emission standards once its bioremediation project was at full capacity in 2016. “We have designed and tested this process over two years. Our sugar graze growing lands were monitored prior to and after being dosed with the fertilisers, and our results show an improvement in soil conditions. 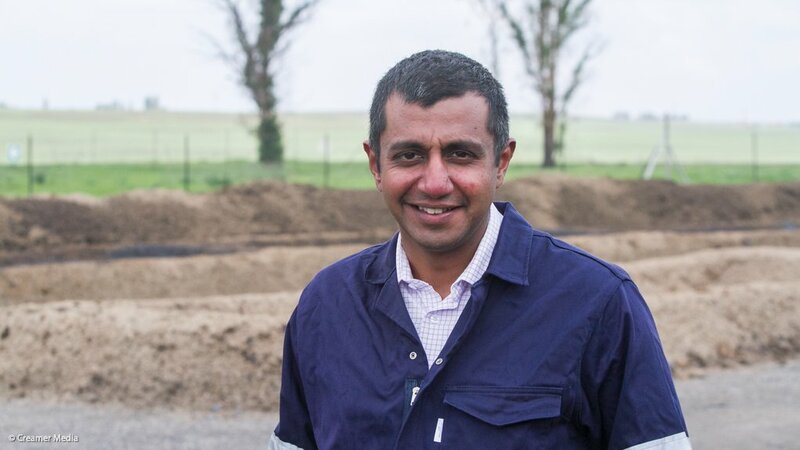 “Sasol will use 2 000 ha of land, dosed with this bioremediated fertiliser, around its Secunda plant to grow the sugar graze. The land is not currently under cultivation,” said Pillay. The process was designed to be labour intensive and the full-scale project would provide employment for 150 people in the community, as part of Sasol’s employment creation initiative.